It looks like two new devices have recently been given a vanilla treat by Google, the Mountain View company just took the curtains off the Google Play editions of the Sony Xperia Z Ultra and LG G Pad 8.3. They are available in Google Play Store immediately for the folks in the US. As with existing Google Play Edition devices – the Samsung Galaxy S4 and HTC One, both these devices feature the exact same hardware as the original version, except for it runs on stock Android 4.4 KitKat out of the box. 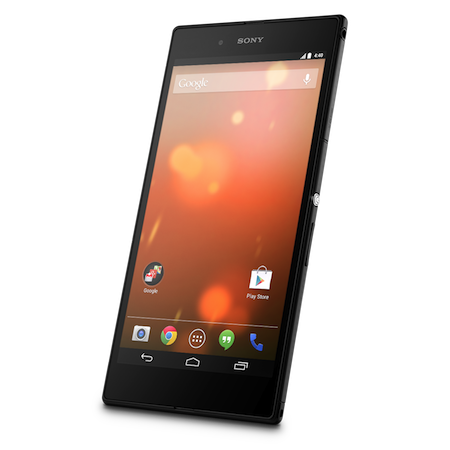 This means that the Sony Xperia Z Ultra features the same 6.4” 1080p display, is powered by 2.2GHz Snapdragon 800, 2GB of RAM, 16GB of internal storage, 8MP rear camera with Exmor RS sensor, 2MP front camera and 3,000mAh battery. One thing to note though is that the Z Ultra listing in Google Play Store lacks the Xperia branding so maybe Sony has got something interesting to announce at a later date. The LG G Pad 8.3 on the other hand also features the same 8.3” 1080p display as the original G Pad. Powered by a Snapdragon 600 processor, it has 2GB of RAM, 16GB of storage, 5MP rear camera and a 1.3MP front shooter. It will also run on the latest Android version – 4.4 KitKat, out of the box. The Google Play edition Z Ultra and G Pad 8.3 retails at USD$650 and USD$350 respectively and will not be available outside of the United States.